We all know how much Lola loves books. In this third book in the Lola serie, Lola has a new baby brother and she can’t wait to share her love of reading with him. 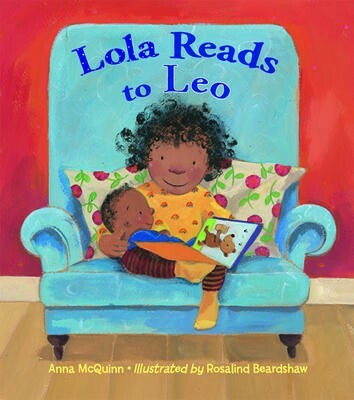 Lola gets ready for little Leo’s arrival by reading books about brothers and sisters and picking out the perfect stories that she just knows her little brother will love. Even when her mom’s tummy gets "bigger and bigger," and even when she’s tired, Mom makes sure there is time for Lola and her stories. When the baby is finally here, Lola takes on the role of big sister — she helps her mommy and daddy around the house and tells Leo stories to cheer him up when he cries. 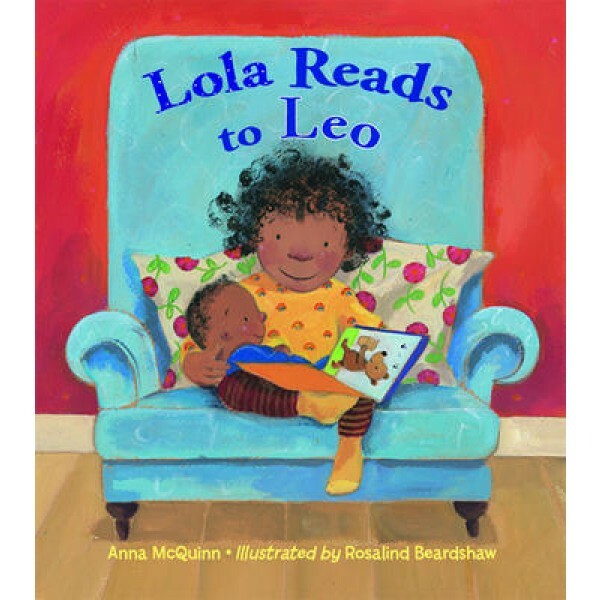 Lola Reads To Leo proves that it’s never too early to become a reader! Fans of Lola will also enjoy Lola at the Library and Lola Loves Stories, the first two books in the series, and Lola Plants A Garden and Lola Gets A Cat, the two sequels!